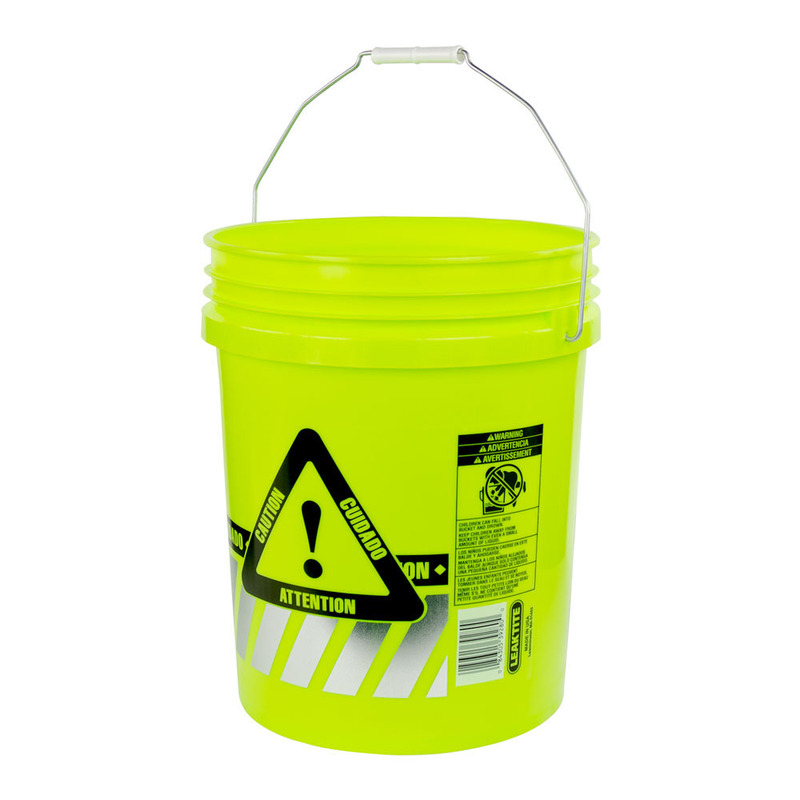 5 Gallon Reflective Caution Pail | U.S. Plastic Corp. This 5 gallon reflective caution bucket is ideal for applications that require high visibility in both daylight and night-time like industrial and construction settings, as well as in high-traffic areas and where safety is a concern.